Nothing quite makes a statement like a nice insignia affixed to your kepi or cap. 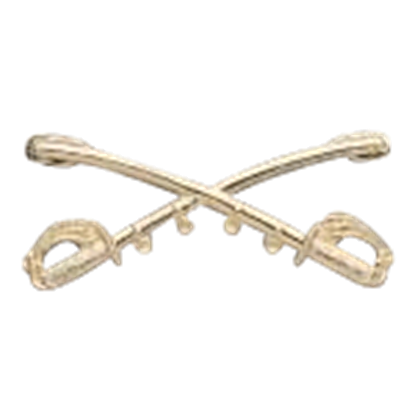 This Brass Cavalry Insignia declares where your allegiances lie and what regiment you serve in, while adding a bit of decoration to your attire. Patches have long been used as rank insignias, as far back as the Civil War and beyond. 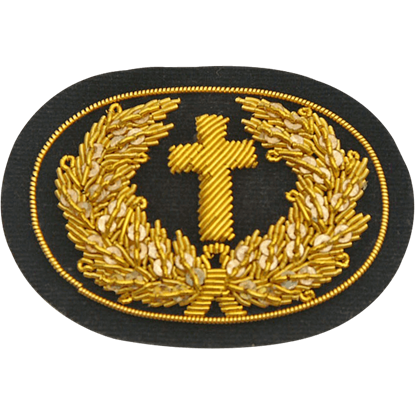 This Chaplain Insignia Patch is one example, often found on a soldiers hat so that all could clearly see what rank and position the owner held. Mounted warriors have always ruled the battlefield, and this was no different during the Civil War. 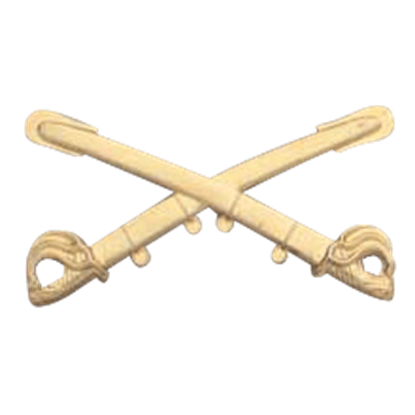 The Civil War Cavalry Insignia is based on the US Cavalry official emblem and identified a soldier as a cavalry member. A cap pin is a great way to show off your allegiances, especially when you are pinning one onto a Confederate kepi or hat. 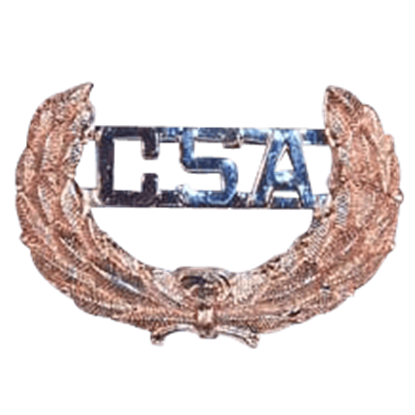 This Confederate CSA Cap Pin works wonders on any cap and makes a great addition to any soldier uniform. A pin is a great way to show off your allegiances, especially when you are pinning one onto a Confederate kepi or hat. 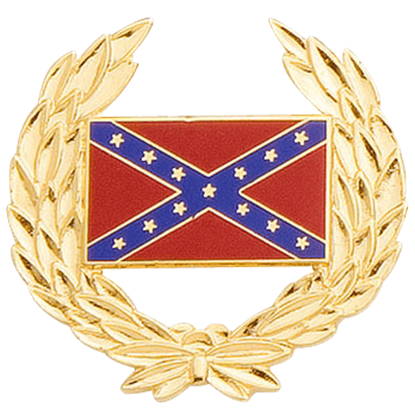 This Confederate Flag Pin works wonders on a Confederate cap and makes a great addition to any uniform. In the days of the old West, badges were common and often worn by those in positions of power, ranging from lawmen to government officials, and more. 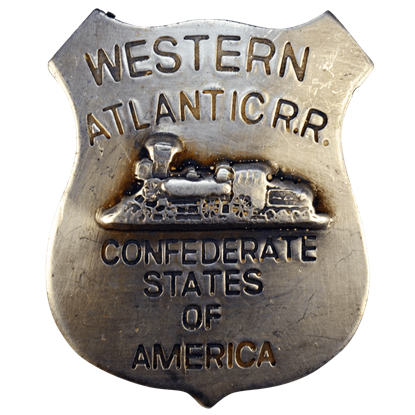 This CSA Western Atlantic Railroad Badge recreates one such badge from the West. 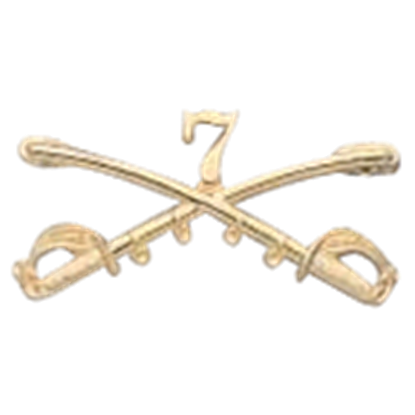 If you want to show a little more spirit and loyalty for your unit, then you might want to adorn yourself with this Custers 7th Cavalry Insignia. This decoration goes wonderfully on hats and coats of all sorts. In the days of the Civil War, stars on the collar indicated rank in the Confederate Army. 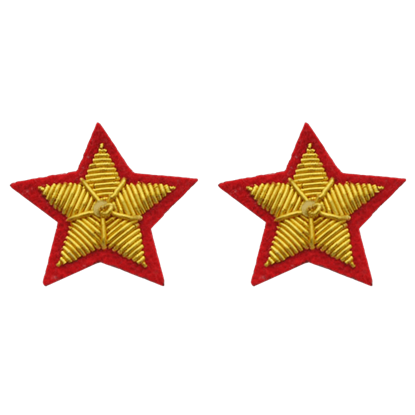 These Red C.S.A Collar Star Insignia Patches are a way to remember that notion, as well as a great way to indicate your rank in your CSA attire. In the days of the old West, badges were common and often worn by those in positions of power, ranging from lawmen to government officials, and more. 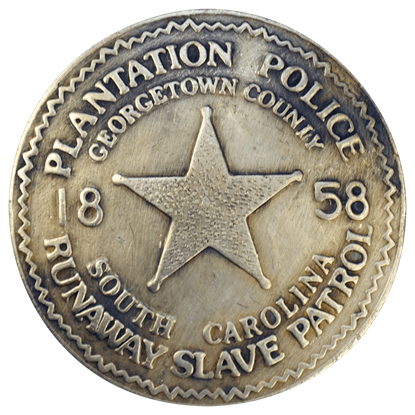 This South Carolina Plantation Police Badge recreates one such badge from the West. A cap pin is a great way to show off your allegiances, especially when you are pinning one onto a Union kepi or hat. 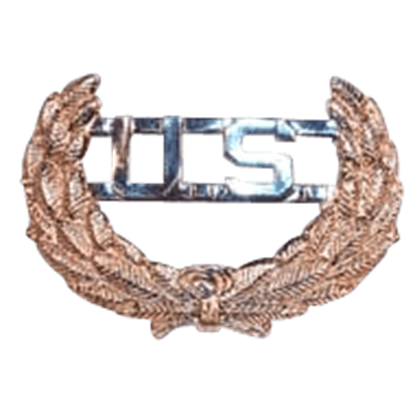 This Union US Cap Pin works wonders on any blue Union cap and makes a great addition to any soldier uniform.